A letter too late. What's the story? 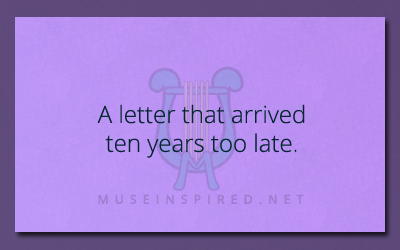 What’s the story behind a letter that arrived ten years too late? What's the Story? - A fall in to an ice cold pond.